Early this morning the Skerries Coast Guard team were out in force at Red Island, Skerries for a routine training exercise with the Coast Guard’s Dublin based Sikorsky helicopter. The team selected and prepared the landing site, deploying smoke flares to assist the helicopter crew with wind speed/direction assessment. 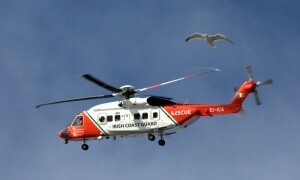 The Sikorsky S92 helicopter, EI-ICR, landed on at Red Island at 09:30, having made the trip from its base at Dublin Airport in approximately 10 minutes. The Skerries team were also joined by their fellow volunteers from the neighbouring station of Clogherhead Coast Guard. All members took part in a briefing and practical exercise, covering key SAR operational procedures. The helicopter departed shortly before 12:00, after completing a winching exercise at the Red Island site. 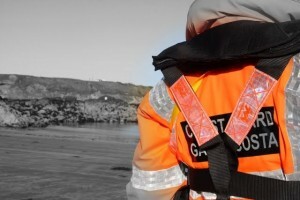 The Skerries Coast Guard team would like to thank all the public fo complying with the directions of Coast Guard personnel while this exercise took place. Photos of this and earlier exercises will be shortly available in our online gallery. This entry was posted in Training and tagged helicopter, Irish Coast Guard, Red Island, skerries coast guard, Training by Skerries Coast Guard. Bookmark the permalink.